Our ideal management concept is where "All employees are managers." and we train our human resources to have management perspectives. A person who thinks like a manager is a person who can act voluntarily, according to the company principles and philosophy. We call these people "Tsukagoshi people". As a method to train Tsukagoshi people, er take heavy measures in the "5S activity". (The 5S consists of : 'Seiri' - to sort, 'Seiton'- to straighten, 'Seisou' - to clean, 'Seiketsu'- to maintain cleanliness, and 'Sitsuke' - to discipline) We believe that the "5S spirit" is the fundamentals of any kind of work. The 5S activity is an improvement activity to create Safe, Comfortable and Efficient workplaces. We started the 5S activity in 1995. Before implementing the 5S activity, we found problems where workplaces were clustered and messy, and employees who couldn't even greet one another. 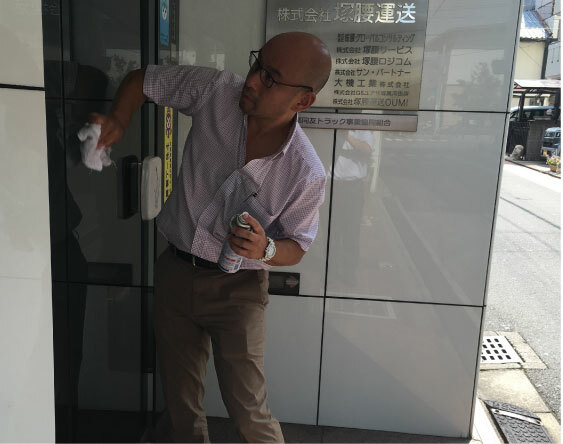 We decided to implement the 5S activity to "improve the workplace" and for "our employee training", not only for the "cleaning" aspect. We believe that those who cannot carry out the 5S activity (which are everyday, subtle things), cannot be trusted with greater jobs. Of course, it is important to develop the skills and knowledge at work, but it is equally important improve your surroundings. Only those who can attend to self improvement can attend to work in a similar manner, and become a true Tsukagoshi person, and they will become real Tsukagoshi people. In our 5S activity, we lay emphasis on the "abilities" cultivated in the process more than the results. are also significant for work. 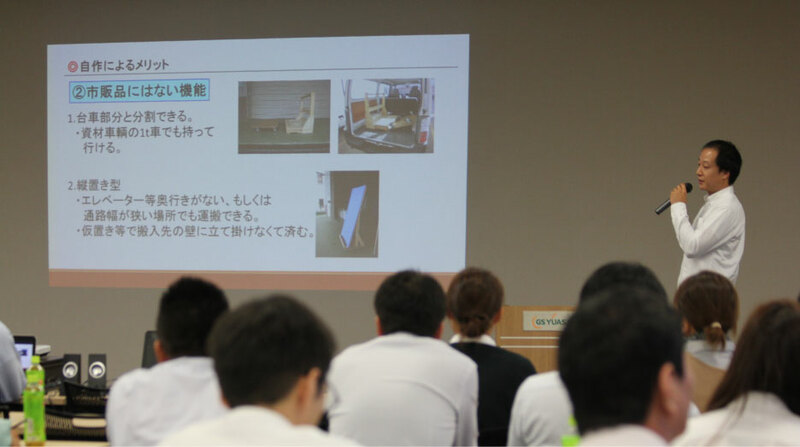 On an annual basis, we hold "the value creation competition" in which each office gives a speech about good examples of creative methods of transportation. We insist employees communicate with each other about improvement, giving ideas, planning until implementing the plans. This leads to becoming "voluntary employees" and reflect on their daily work. By repeating the 5S activity, we can improve our workplace and develop ourselves. This spirit of "Always think, create, and persevere" is the basis of building "the company to that innovates". Business management, in short is "to manage yourself". The 6 abilities which are obtained through the 5S activity are the most important factors of self-management. By devoting ourselves to the 5S activity, we can nurture human resources capable of self management, and aim to strengthen our organization so we can take our place in this society.